Hello, readers! This is the third installment! I am serializing my 9,000 word short story, “Nightfire!”, for a fun way to read a story over six days. On the seventh day, I am going to ask a question about the story, and the first three persons who e-mail me the correct answer will receive a $20 Amazon gift card. If you missed the first two episodes, don’t worry: There are links to them just below this paragraph. 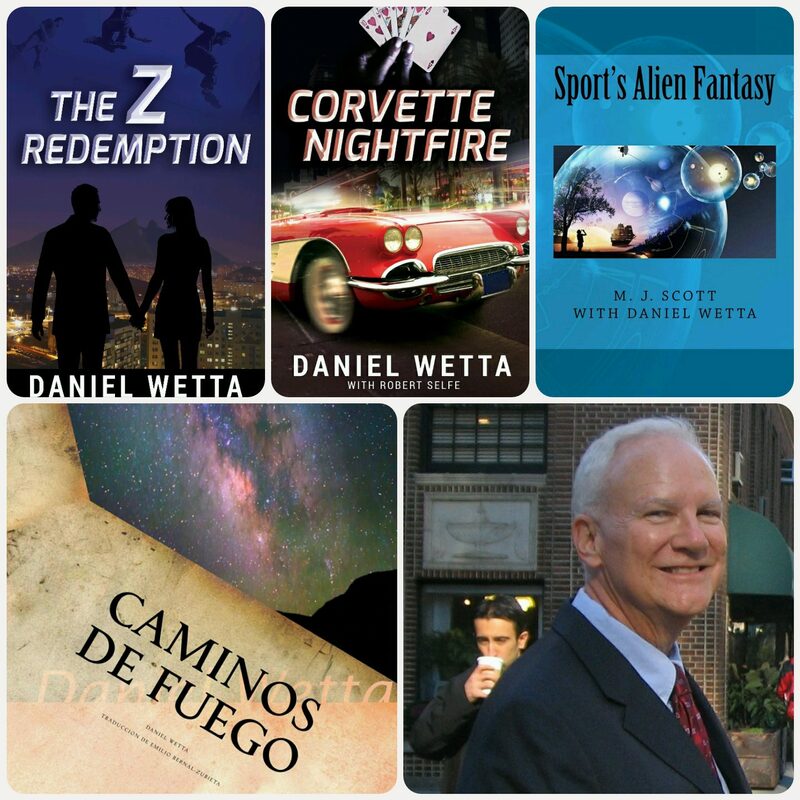 “Nightfire!” is a prequel to the novel, Corvette Nightfire, and like the novel, it is full of love, heartbreak, crime, danger and heroism. Have fun with this, and I hope it whets your appetite to read the novel! At the end of this episode, there is an explanation of the story’s timeline. Luna began to run with Día across the border. She ran like all the Rarámuri women: in the long colorful traditional dresses of her people. She was a superb athlete who managed to carry a pack on her back more than half the weight of Día’s. They learned more routes. They spent more and more time in the Mexican towns. Día picked up new skills. He learned the mechanics of the trucks and cars that were provided to him to service. They were old, and they broke down often. He sometimes had to replace parts with some that he knew had been stolen. Then vehicles began to arrive for him on flatbed trucks. These had no keys. Día learned to start them by touching the starter wire to the ignition and battery wires that he had entwined together. He installed new ignition-key mechanisms. The Mexicans made him work on these vehicles in a hurry, and then they raced them away, sputtering smoke and dust. His joy in work came from what he desired most: fast cars and trucks that he could keep for a while, until something better came along for him. Luna sat close by when he worked. She didn’t trust the conversation of the chabochi women in the bars and places where the women of the men remained. In her heart, she wanted to return with Día to her old life. “We make love all the time because I have wanted to have a baby so badly! I thought that this would make you come back to our home with me and stay. I have lost two others, Día! You didn’t even know. I think this running is not permitting me to develop babies.” Then she sobbed a long time while Día’s heart broke from the awakening to his selfishness. That night he vowed to himself that they would return to their people. He realized that he had not once thought about bringing chabochi wonders to help the Rarámuri, as he had once intended, nor had he made any impact on the chabochi to respect his people. They were, of course, late delivering the packs that night. It was almost dawn before they met up with the men who awaited the bags. One rushed behind Día and grabbed him from behind, immobilizing his arms. The other seized his pistol and pointed it at him, while Luna screamed. He then pointed it in the air and fired all the bullets. The man holding him released him. Then, with ugly and menacing words, the men told him that they had killed Rarámuri runners who had failed them. Día felt terror, not by the threat of death, but by the way they cast pig-eyes on Luna. But, in the end, the men walked them a distance to a road, just as it was getting light. They put Día and Luna in the front seat of a car and handed some papers to Día. In the months that followed, Día witnessed more and more Mexican men from the cartel arriving in Creel and disbursing to plots of land in the mountains where they were growing marijuana and poppy. He and Luna began to learn Spanish, especially Luna, who had an aptitude for the language. She was good at putting words together, Día thought. They learned that demand for the products of the cartel was increasing, because in the United States a middle class with young, rebellious people who liked rock-‘n-roll music enjoyed social activities and types of partying not occurring in Mexico. Día saw more men arriving with guns daily. He stopped looking for his family in the canyons. He worried about their safety and feared he might lead the cartel members to them. He didn’t want his parents to know what he had been doing, and he didn’t want his brother to become influenced as he had been. I run a fever in my spirit, he thought. And he worried incessantly about Luna. He had to keep his eyes on her to protect her from the chabochi men around, who were removed from their women and who looked with lust at Luna’s beautiful body. In addition, he took to heart what she had told him. She was not having babies. She was losing them. Perhaps the running was taking its toll, as she had theorized. Nearly three years had passed since they married, and even more years since they first made love, and they still did not have a family. The memory of Luna’s bleeding in the desert haunted him. The spiritual wretchedness of their lives, totally his fault (he believed), evoked this thought: How could we possibly have a family while living as we do? One day, when an important leader of the cartel showed up to discuss something with him, Día had the first intuition of a possible escape for him and Luna. He was covered in grease and working under a truck when the man showed up in the crude, wooden shop off the main road running through Creel. A group of beefy Mexican men arrived with him, and a couple of them with rifles posted themselves by the door. The choice to make was obvious. And they did look handsome in the cars, even if Luna always seemed nervous and unsettled until they arrived at the border, where she managed to produce charming smiles for the border agents. It was a disarming tactic which Día told her would help them get through to Mexico. Luna could do anything that Día asked her to do. He had been the center of her world since she was a child. They would arrive at the check point, Día dressed like a Mexican cowboy, Luna in her beautiful, traditional dresses. Día’s clothing was one practical use that they had found for the cash that the chabochi gave them. The Rarámuri women, knowing only poverty, wore their dresses for weeks before cleaning them. Many only had one. Día had Luna acquire more dresses at a roadside trading stand in Creel, so that she would always have something clean for the crossings. He had developed sensitivity for cultural differences in the north of Mexico and in the United States as a function of always needing his wits about him in his work. He worried that, over time, he might feel less Rarámuri and more chabochi. He wondered if Luna sensed that she was changing: At the border, when his Spanish failed him, Luna picked up the conversation with ease. He felt to blame for the dilution of her cultural identity. He felt shame. It was the reason that he liked to see her in the traditional dresses. It made him feel less bad about things. When the story opens, Rahui (Día) is ten years old. It is 1948. We know this because the story tell us that WWII had ended three years earlier, in 1945. Día, then, was born in 1938. Día sees Luna for the first time at his cousins’ home, when he is ten. Día meets the Mexican youths in Creel when he is 16 years old (1954). There are historical references to the railroad in that region that began construction in 1862 and was completed in 1962. Also, there is reference to the fact of marijuana and poppy cultivation by people from Sinaloa in Día’s homelands for nearly a century. Día makes his first run across the border for the cartel of Sinaloa when he is 17 (1955). He runs for them for a couple years before marrying Luna, when he is 19 years old (1957). Over the next few years, Luna runs with Día, carrying drugs in packs. Día, always obsessed with speed, acquires mechanical skills in servicing cars and trucks during this period. The story moves into the early 1960s as Episode Three concludes. Note: I apologize to a reader who sent a comment to me about the timeline, because, in trying to look at it on my phone application, I must have accidentally deleted it. I hope this clarifies the time period of the story thus far.